Posted on Февраль 5, 2015 by Татьяна Н.
Вы учитель английского языка и хотите с блеском проводить уроки? Говорите больше фраз на английском языке! Ведь считается, что вести уроки английского языка нужно только на английском для полного погружения в атмосферу изучаемого языка. 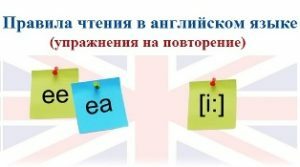 Ниже представлены фразы, так называемые Classroom English, которые Вам непременно понадобятся на уроке. Фразы подразделены на ситуации, виды речевой деятельности и другие полезные выражения для учителя английского языка. I am your new English teacher. Now I’d like you to give me your names. There are two newcomers in your class. What was your last school? Which textbook did you use? I’d like you to give me your names. Where have you been until now? Didn’t your alarm clock go off? You have been late twice this week. Give me your record book. I’ll make a note for your parents. Don’t be late next time./ Try not to be late next time! Have you brought the doctor’s note/ a note from your parents? Now I’ll call the register. Is there anyone missing/absent/away today? And where is Maslova? Is she coming? Do you have any idea where she is? Why isn’t she at school? Do you know when she will be back at school? Could you take her homework? And what about Masha? Is she still in hospital or has she come home? Olya, will you take Lena to the sick room? Oh, Dima, so you are back at school. You are behind in my subject. You’d better go to the sick room. We are beginning our lesson. Ученики могут повторить хором: The bell has gone. The lesson has begun. The topic of our lesson today is…..
To begin with, we have to…. First, I’ll give your exercise-books out. All right, class, let’s get down to work. Take (get) out your books. Last time we were talking about…. Today we will be talking about…. I expect you already know something about…. What did I give you for homework? How did you get on with your homework? How long does it take you to do your homework? Why haven’t you done your homework? What did you mean you forgot? What did you mean you didn’t know what to do? Why didn’t you write it down like everyone else? Why didn’t you ask smb in the class what had to do? Do that homework and bring it to me the first thing tomorrow. You had to read the passage on page 36, is that right? You were supposed to practice the dialogues on page 21 for homework. Make up your own dialogue in pairs. We won’t correct your h/w orally today. I want to see your exersise book. I am going to take your ex-book in at the end of the lesson. I’ ll mark them and give them back next time. I want to make sure that you have understood the meaning of these words. Do these words have positive or negative meaning? Don’t mix up these two words. Which of the words are possible in the sentence? Who remembers what is the Russian word for “….”? Rub out this word. Сотри это слово. Rub off this part of the blackboard. Сотри эту часть доски. Wipe off the table with a clean cloth./ Wipe the water, please. Raise the chairs before you go. Hand over your homework to students at the first desks. Put the chalk on the ledge. Can we have a little less noise, please? Will you go and sit down in your place, Alyosha? Copy it down (from the blackboard). You aren’t supposed to be sitting there. Come to the front. Is everybody ready to start? Don’t look aside. Не отвлекайся. Spit out your chewing gum. How can you account for your behaviour? Good for you. Well-done./ Good work. That’s a lot better. Your English is getting better. You`ve made a lot of progress since…. I am very pleased with you. I’m not very satisfied with your reading. You need some more practice in reading. It’s no good at all. That’s all right. Never mind. Ничего страшного. I have no personal interest in this matter. I hope things will improve in the long run. You shouldn’t take it close to heart. May I give you word of advice? Don’t run about the classroom. What’s the meaning of this word? It’s a word for word translation. Don’t translate word for word. It means translating words, not sentences. When you translate think of the meaning of the whole sentence. Who has better translation? What’s the better way of translating this? Don’t be afraid. Your version may be right, too. In what other way can we translate this phrase? And now the same sentence in English. We’ll begin with translation you did for homework. Have you all got the same? May we hear your version? I think we have practiced enough. When we have finished this, I`ll give you your translation back. I think we leave off at page 3/ we read as far as page 4. Alla, you have to share with Lena. You see how we waste time when you don’t bring books to the lesson. Make sure you bring your books next time. I’m afraid there aren’t enough books for everybody. Let’s read the text aloud. Listen to me reading this passage. Now I’ll read the passage sentence by sentence and I want you to repeat each sentence after me. Listen again and say it after me. Let’s read the next paragraph together. Now, I’d like to hear you read aloud. Could you go back to the beginning, Lena? Tanya, could you go on reading from where I left off? Read the dialogue in pairs. Will you go on, Oleg? I’d like you read round the class. There is a mistake in your pronounciation. You mispronounced the word “ “. The “b” is silent in climb. The stress is wrong/ on the second syllable. Read it so that everyone in class can hear you without difficulty. Speed up a bit/ Slow down a bit. What have you done wrong in your composition? Here are some topics to talk about. You work out dialogues for the following situations. Now, you work in pairs. You аct out the dialogue. You make up your own dialogue. You use the words given in the box. Decide which of you is A and which is B. You ask you partner to explain his opinion as exactly as possible. You ask you partner to go into as much details as he can. When each pair has finished change over and do it again. Now we shall do some group work. There are too many in this group. We are going to have a group leader in each groups. Group leader is to keep the discussion to the topic. Here are some topics for to work on in group. Choose a subject you know a lot about. Which subject do you want to work on? Make sure each member of the group has time to say what he thinks. Ask for the vocabulary you need. Ask me for help with vocabulary if you needed. Ask other people in your group to help you if you cannot find the right word. Take your time before you start. We are going to practise role play today. Divide into the groups of four. In each group there are four characters. Decide who is A and who will play the parts of B and D.
Before we start I ‘ll give you a few minutes for preparation. I’d like to explain you the situation. Listen to your partner and respond to what he says. When I clap my hands, that’s a signal to change parts. This group was doing particularly well. 7. Работа на уроке. 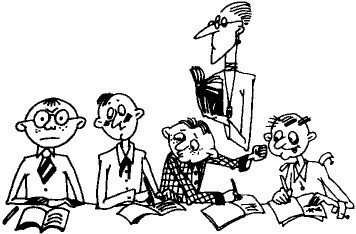 Задания (Classroom Activity/Tasks). Let’s do the exercise in writing (in written form). Arrange (put) the sentences in a logical order. Don’t shut your textbooks, leave the page 4 open. Let’s practice in the present perfect tense. Copy it down (from the blackboard). Tear a sheet of paper in two. If you need any help, don’t forget to ask. Somebody needs an extra work. You have to do it before I count five. Use the words given in the box. And read the instructions first,please. Right. How will you answer the first question? Have you all got that? You seem to have understood it very well. If there are no more questions, let’s go on to discussion. Let’s have a discussion on the matter. Let’s keep to the subject. Не будем уклоняться от темы. Be ready to talk over the following questions. Wait a minute before you say something. Plan what you are going to say. Ask each other questions about. Can you add a few details? Have you got anything to add to what Mike said? I didn’t catch the last part. That’s a very good argument. I am not so sure about it. From what you said I understood that…. You got me wrong. I only meant to say…. Don’t you agree Sacha? Give your reasons. Tell us about your own experience. Tell us what your group talked about. Tell the class what you have talked about with your partner. Each group should tell the class what decision they came to and why. What points did you disagree about? What are the points everyone agreed on? After some discussion we agreed that…. Can somebody sum up what has been said? This entry was posted in Преподавателю английского языка.